I read a book a couple years ago. It was fairly new, too. In the book, people begin giving birth to children (girls only?) who could control elements. The first child can control fire, the second water, etc. However, the fifth child could control meteors and cause them to crash into Earth. The book follows the life of a child who's a fifth. She's forced to crossdress and work at a circus that her family owns until she's eventually discovered and forced to be on the run. Does anyone know what this book is called? 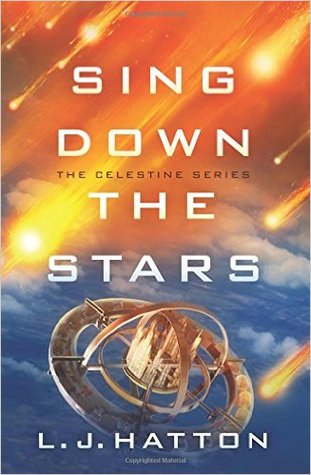 Could this be Sing Down the Stars by L.J. Hatton & Josin L. McQuein? When they arrived, they spread across the sky like a sea of jellyfish—silent, unknown, alien. When they left, a year later, it seemed as if nothing had changed. But soon, certain girls were born with peculiar abilities—inhuman abilities. An international commission was formed to investigate…and fear began to spread. Families were swept from their homes and, one by one, any girl that was different disappeared. Penn Roma’s four sisters were born with these dreaded powers: they control the elements of fire, water, earth, and wind. Penn is the unimaginable fifth child, one with the power to call down the stars. Her father has hidden his daughters’ powers for sixteen years. Then, one explosive night, Penn loses everything: her sisters are taken, her family destroyed. Now, Penn must do the unthinkable and use the power she’s spent a lifetime suppressing. To save her family and herself, she must travel to the very heart of her world’s darkness and discover the truth about her terrifying gift. Not the answer you're looking for? Browse other questions tagged story-identification novel young-adult soft-sci-fi or ask your own question. Book series, girl who works for a supernatural forces unit?